The recently launched Emerging Sources Citation Index (ESCI) is an additional index to the Web of Science Core Collection (which includes in our subscription the Science Citation Index, the Social Sciences Citation Index, the Arts & Humanities Citation Index and others listed on the “Learn more” page on the WoS platform). It joined the WoS family of indexes in 2015. ESCI goes beyond WoS collections in that it indexes journals from emerging fields of research and of more regional significance. As of December 2017, ESCI indexes a further 7,300 journals, 1,733 of which are Open Access (or include OA) and 75% with 5 years or more backfile. The subject spread is 52% Social science, 12% Arts & Humanities, and 36% Sciences, so the majority of publications are focused on the social sciences and arts and humanities. Journals covered emanate from countries across the globe, including emerging titles in the Far East and South America, and MIMAS estimates 80% comprise research output from outside North America. Launched by Clarivate Analytics who now publish WoS, the ESCI is intended to answer to the “rapidly changing research fields and the rise of interdisciplinary scholarship … providing greater discoverability which leads to measurable citations and more transparency in the selection process”. 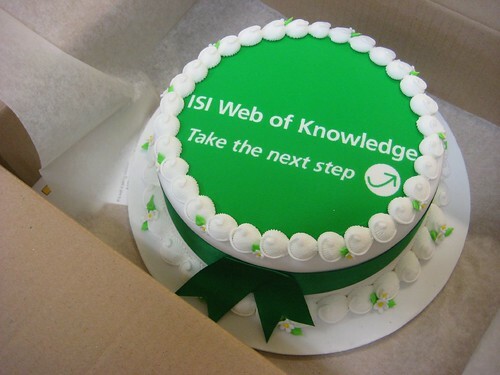 It is part of Clarivate’s programme with ESCI to keep the journals in it separate from the main indexes forming WoS, but the company notes publications “can continue to be considered for inclusion in products such as SCIE, SSCI, and AHCI, which have rigorous evaluation processes and selection criteria”. Indexing from 2015 to the present of journals in the ESCI is available in our current subscription (detail of this should be added to our subscriptions details page shortly). Trial access is now available up to 31 October 2018. This trial provides access to the archive which covers the years 2005 to 2014, including indexing of the ESCI journals for those years. This indexing is on offer from Clarivate as a backfile purchase, so we are keen to have your feedback on the value of this data. Please send your feedback to ejournals@lib.cam.ac.uk. Thank you. Access is enabled on the Web of Science platform at this link or via the Cambridge LibGuides Databases A-Z. (Note that the WoS link does not now require a Raven authentication on campus.) To search the ESCI only please click on “More settings” on the Web of Science “Basic Search” page and adjust the tick boxes for the respective collections accordingly. A fact sheet about ESCI is available here. The Web of Science has a new interface from January 12 2014. The new platform is the result of a user-centric redesign to provide a simplified, intuitive search with clearer results and linked data through a single interface. It will now be easier to start searching, review results and discover related research with linked data. The page layout is improved, with clear identification of the database searched; navigation is simplified, search fields can be expanded with one click and linking to full text is made easier too. And any further questions or issues you want to raise with the trainer, Rachel Mangan, Customer Education, Thomson Reuters. Sign up to attend the training via the Librarians-in-Training webpage here. On the Scholar search results page, you will now see a new Web of Science link directly in the results, under the article preview, as part of Scholar’s familiar navigation bar. On Web of Science, you can now move directly from a Web of Science record to a Scholar search on the same item. “Thomson Reuters’ reports it saw a 2-3 times spike in its traffic at the pilot sites, perhaps not surprising given Scholar’s role as the starting point for many researchers.” Read more about this development here. A pre-recorded session is also available via this link. There will be a training session on Scopus on 18th October 2013 from 11:00 am to 13:00 pm in the Milstein Seminar Room at the University Library. No booking is required. Scopus is the world’s “largest abstract and citation database of peer-reviewed literature” (http://www.elsevier.com/online-tools/scopus) with smart tools that track, analyze and visualize research. Easy to use and comprehensive, Scopus is designed to find quickly the information researchers need. Including a 15-20 min session explaining the Scopus bibliometrics SNIP, SJR & how they differ from the Impact Factor.